1. Material: Material:100% polyester,mesh lining,soft and breathable. 2. Closure Type: Zipper closure,windproof hood and elastic cuff,can prevent the cold air and keep you warm. 4. 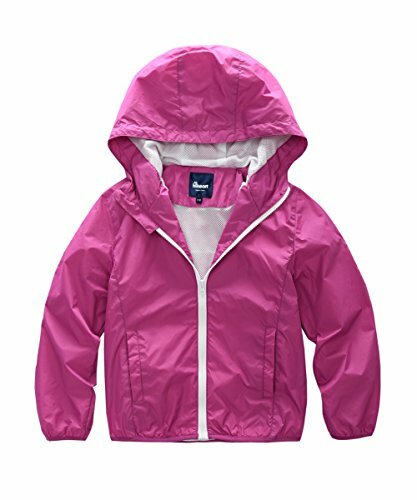 Features: Lightweight,warm and anti UV,it is a good choice for outdoor activities.Season:spring&fall. 5. Cleaning tips: Machine washable. Material:100% polyester,mesh lining, breathable and soft. Zipper closure,windproof hood and elastic cuff,can prevent the cold air and keep you warm. Two bottom pockets in front,with reflective print on back,they are perfect to store things and can also keep your child safe in busy traffic. Lightweight,warm and breathable,it is a good choice for outdoor activities.Season:spring&fall.